resolutions this year was to play 10 games from my pile of shame and I am happy to report that I am writing my third entry in this series and have crossed the half-way point! 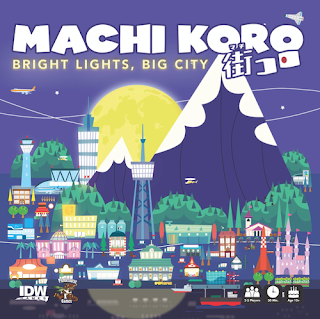 In my first entry I played Abyss and Colt Express, my second entry featured Carrotia and Codenames, and I am pleased to report that my third entry features Just Desserts and Machi Koro: Bright Lights, Big City. Hopefully I will be able to chime in soon that I have played games number seven and eight. Machi Koro: Bright Lights, Big City by Pandasaurus Games -If you have read any of my board game related posts then you should be aware that my family and I are a big fan of the Machi Koro series. I have included it previous holiday guides and feel that it should be on everyone's shelf. It is, in my opinion, the best gateway game on the market. About a year ago I saw that Target had an exclusive version of Machi Koro and was curious, but was good with our current copy and expansions. Bright Lights, Big City is no longer exclusive to Target and should be available at your FLGS. Even though I never planned on picking up a new version of Machi Koro, I heard in various gaming groups and from some friends that this was the definitive version of Machi Koro. After having a copy for a few months, I decided to give it a whirl with my 9 year old son and we instantly fell in love it. It takes all of the good elements from the expansions, eliminates some of the cards that can get overpowered, and introduces some new elements to provide a quicker, more polished Machi Koro experience. The experience reminds me of the first time I played the base game with the Harbor expansion. Bright Lights, Big City randomizes what cards are available, but organizes them in a way to provide a balanced pool of cards to select from. It also introduces the third dice, which is an absolute game changer. Some people are bothered by randomization, which I feel Machi Koro hedged effectively from the beginning, and the Moon Tower grants you even more control. It also allows you to pretend that you are in Dazed and Confused and that everything is alright, alright, alright. 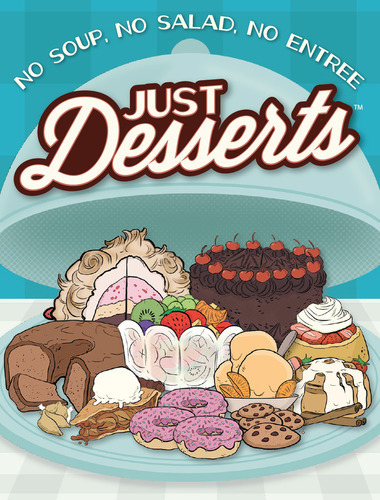 Just Desserts by Looney Labs - My wife got this game for Christmas and it sadly collected dust on my pile of shame for nearly six months. I had heard this was a light card game that was a good filler, and I thought that she would enjoy the dessert theme. In the game, you assume the role of a server trying to provide desserts to your guests. There are a series of guests of different suits with dietary needs, and you collect cards on your turn to try to gather the necessary ingredients to serve them up a tasty treat. There are bonuses if you have the specific dish they are looking for, and you can try to focus on one particular suit of guests or serve a variety of hungry patrons. 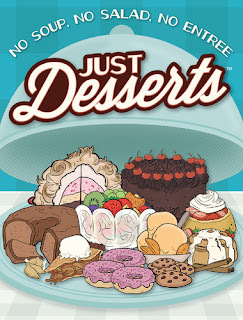 Just Desserts is a good filler game that is appropriate for the entire family. I would recommend it if your family is just starting to get into the hobby or are looking for a quick game to take on the road or play during a busy game night.